There are lots of different kinds of fashion trends out there these days, jeggings, scarves, collared shirts, jeans that look faded and worn out, boots, and many other things. 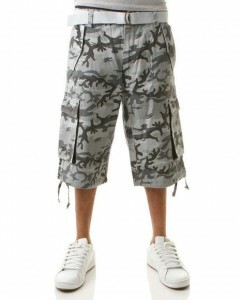 But one trend that has been around for quite a while is the camouflage cargo shorts. Men and women of all ages are seen sporting this trend at all times of the year. Pretty much anything matches these bottoms, which makes them just as versatile as your favorite pair of jeans and sometimes can be even more comfortable then the jeans. Just depends on the material and brand of the shorts you get. Most camouflage cargo shorts are in the guys and mens section, but these days that doesn’t ever stop women from going and buying things either. Some women prefer men’s shirts and some bottoms to the sizes and selection in their own department of the store. Camouflage shorts are always best worn kind of baggy, not too tight. Baggy shorts with a tan, tighter top would look good for a woman, for a guy, just throw on a typical T-shirt and you are ready to go. The camouflage really goes with any color, just don’t throw on something else with a lot of design and commotion going on. 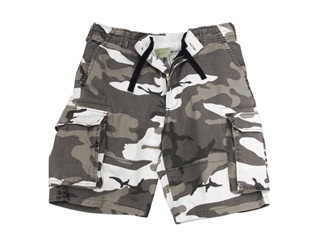 Camouflage shorts are already loud enough, pair them with a nice solid color and you will do just fine. Cargo shorts alone have been trending for several years now and are comfortable for lounging around or getting your every day chores and errands accomplished in comfort, without feeling like a complete bum like some do when they wear the typical baggy sweat pants. With shorts, you can feel a little free and it’s a little bit more flattering then baggy pants that can make you look like you have many more lumps in places than you actually do. Shorts can show off your legs and make you feel more free, like you can move around a little bit easier, less material. 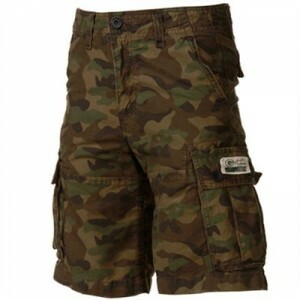 Camouflage cargo shorts are perfect for any casual outing, and great for working or lounging around the house with any fuss. They are a great alternative to jeans.